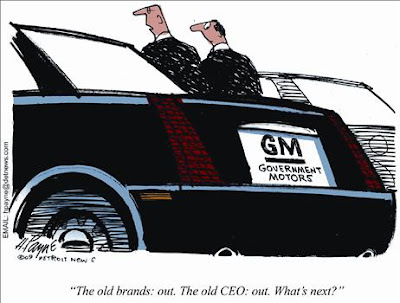 According to the government, GM's Rick Wagoner was forced to resign because of poor performance. That’s embarrassing. You run an organization that loses billions of dollars and then get fired by a guy who heads up an organization that loses trillions of dollars. The S&P 500 Index rose 8.5% in March, the best monthly gain since October 2002 (see chart above). Pressure from incumbent taxi license holders, including brought a government decision in 1978 to limit the number of licences by statutory instrument. This led to the licenses acquiring a scarcity, monopoly value. As the Irish economy grew rapidly after 1987, the value of taxi licences rose rapidly to a high level by international standards. Dublin taxi numbers remained unchanged at 1,800 between 1978 and 1991, when there was an increase of 150. In 1997 there were 1,974 licences and on the eve of deregulation in late 2000 there were 2,721 licenses (see top chart above). Restricting entry to the Irish taxi business became policy in an era of rapid economic growth. Between 1978 and 2000 the number of persons employed in Ireland increased by 63% from 1.1 million to 1.8 million. Unemployment fell from almost 18% in 1986 to 3.7% in 2001. The number of overseas visitors increased from 2 million to over 6 million in 2000. The failure to increase taxi numbers in the fastest growing economy in the OECD caused widespread dissatisfaction because of the shortage of taxis in Dublin and elsewhere. Research found that 75% of those interviewed in street surveys disagreed or strongly disagreed with the statement that taxis "can be hired easily at peak times." A total of 72.6% of businesses experienced difficulties in obtaining a taxi, in particular between 4 and 6 p.m. In Dublin city centre some 9% of hourly observations resulted in average waiting times in excess of 15 minutes. During the period 11 p.m. to 4.00 a.m. waiting times in excess of 90 minutes were "frequently observed." The price of a taxi licence in Dublin rose from I£3,500 ($7,385) in 1980 to I£90,000 ($108,000) in 2000 (MP: This represents an annual increase of 17.6%). Taxi license prices in Dublin were far above those in other European cities before deregulation in Ireland. Market entry had been restricted from 1978 to 2000. A ministerial proposal to increase the number of taxis by just adding vehicles to existing taxi licences was challenged in the High Court by hackney drivers of private hire vehicles. In Irish transport law taxis are public hire vehicles which may be hailed on the street or at taxi ranks while hackneys are private hire vehicles which have to be hired by phone. The legal challenge was successful. Entry to the taxi sector was deregulated by the High Court and not just restricted to those with existing taxi licences. The High Court judgement stated that the restriction affected the right of people to work in the industry for which they were qualified and the right of the public to the services of taxis. The judgement also referred to the EU dimension of the case. It suggested that the proposed reform may discriminate against non-Irish residents as the great majority of current licence holders would be Irish. Following the deregulation judgement there was a dramatic increase in taxi numbers (see top chart above). Since deregulation the local authority administration fee for the issue of a taxi licence is I£5,000 ($5,650, see bottom chart above). Large reductions in passenger waiting times have made deregulation popular among the public. There has not been a reduction in either driver or vehicle standards. Taxi deregulation in Ireland followed a restriction of new entrants for 22 years, the second half of which was a period of rapid economic growth. The implications of the Irish High Court judgements concerning the rights of new market entrants to work in an industry for which they may be qualified and the rights of the public to services are significant in an economy with many cases of regulatory capture. If extended to other sectors the judgements would revolutionise the economy. Current legal opinion is that the taxi deregulation decision is indeed a turning point in Irish law dealing with property rights and market access. However, it is clear that concentrated producer interests are trying to use other aspects of the legal and regulatory framework to try to recapture monopoly rents. People of the same trade (e.g. taxi license holders) seldom meet together, even for merriment and diversion, but the conversation ends in a conspiracy against the public, or in some contrivance to raise prices. It is impossible indeed to prevent such meetings, by any law which either could be executed, or would be consistent with liberty and justice. But though the law cannot hinder people of the same trade from sometimes assembling together, it ought to do nothing to facilitate such assemblies; much less to render them necessary. 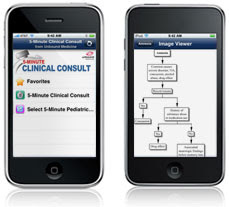 Unbound Medicine has released its 5 Minute Clinical Consult application for the iPhone platform. The application is designed to quickly help physicians find relevant information at the point of care regarding "diagnosis, treatment, medications, follow-up, ICD-9 coding and patient teaching." In all of the discussions on the U.S. auto industry, GM, Ford, and Chrysler, etc., we shouldn't forget about the biggest beneficiaries of the intense global competition in the car industry: American consumers. The top chart above shows the CPI for new cars, which increased annually between 1973 and 1996 at the compounded rate of about 4% before leveling off and falling at a rate of -.50% per year for the last 12 years. The bottom chart shows the CPI for All Items (4.6% annual inflation rate) vs. the CPI for New Cars (2.6% annual inflation). Since 1973, the CPI has increased by 5 times, compared to only a 2.5 increase in the CPI for new cars. If new cars had increased at the same rate as the CPI for all goods and services, new cars would be twice as expensive today (adjusted for quality). American car consumers have never had it so good - new cars are better and cheaper than at any time in history. If ever there was a year that colleges were anxious about enrolling new and continuing students, this is it. Whether dependent on tuition revenue or state appropriations formulas, colleges are doing everything they can think of in this economically challenging year to attract students -- and the dollars that follow them. But there is a notable exception: Several colleges have recently announced that, regardless of application quality, they plan to admit fewer Ph.D. students for this coming fall than were admitted a year ago. The economics of doctoral education are different enough from those of other programs that some universities' doctoral classes will be taking a significant hit, with potential ramifications down the road for the academic job market, the availability of teaching assistants, and the education of new professors. Emory University plans a 40% cut in the number of new Ph.D. students it will enroll this fall. Columbia University is planning a 10% cut. Brown University has called off a planned increase in Ph.D. enrollments. The University of South Carolina is considering a plan to have some departments that have admitted doctoral students every year shift to an every-other-year system. These cuts are exclusively for Ph.D. programs. Terminal master's programs and professional school programs are generally being encouraged to fill their classes; those programs are of course ones in which many universities assume students will pay most or all costs themselves, using loans as needed. The economic difference between Ph.D. and non-Ph.D. students is that the former tend to be supported with tuition waivers and stipends, while many of the latter pay their own way or bring in federal or other aid, such that colleges (beyond the altruistic reasons for educating students) are bringing in money, too. Doctoral students at many universities receive full support from their universities, creating a very different dynamic -- especially coupled with the need to make large cuts in budgets. Dirt Poor in Cuba, The "Workers' Paradise"
In Cuba, ration coupons allow for only about half of the needed calories, and agriculture is so inefficient that Cubans spend about 50 to 70% of their gross income supplementing the food available through the state system (MP: Compared to about 6% for Americans). More than a quarter of the Cuban work force is involved in agriculture (MP: It's less than 2% in the U.S. and hasn't been 25% here since the early 1900s). A recent article in the Cuban press, noted in a study by the U.S. Department of Agriculture's Office of Global Analysis, quoted a high-level Cuban ministry of agriculture official who revealed that 84% of all food consumed in Cuba is imported. 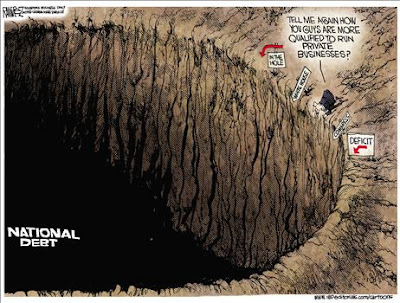 From the Weekly Standard, via NCPA. PERRIS, Calif. (AP) — A town is going green to combat foreclosure blight: A contractor has been hired to spray-paint lawn bald spots. Perris spokesman Joe Vargo said contractor Dave Milligan uses an environmentally friendly dye that lasts up to six months and is harmless to people and pets. The city hopes the foreclosed properties are purchased and occupied before the lawn needs a touchup. It costs about $550 to spray-paint a lawn. The city, some 70 miles southeast of Los Angeles, has set aside $2 million in an effort to stabilize foreclosure-fraught neighborhoods. Buying a car in Cuba is like one of those Indiana Jones adventures: you can end up with a heart attack, or a ten-year wait. For a long time it was only possible to get a car as a part of the distribution based on merit. An outstanding worker, with thousands of volunteer hours or a mission as a soldier to Angola or Ethiopia, might consider himself lucky if he was allowed to acquire a Moskovich or a Lada. Professionals of the highest rank would compete in the universities and study centers for the small allocations of automobiles. Meanwhile, government officials could aspire to more modern models, which would be repaired in the State’s own workshops. When the pipe that carried the subsidy from the Kremlin to here collapsed, the distribution of appliances and cars based on merit ended. It began to work in another way, with money as the medium of exchange to get a vehicle. However, a selective filter was maintained to get the right to buy one of the newcomers, such as a Citroen, Peugeot or Mitsubishi. 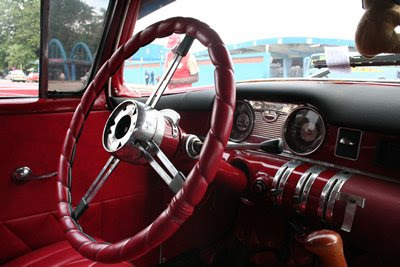 The old cars acquired before 1959 can be sold, but transferring ownership of the cars obtained for labor or ideological qualities is prohibited. The regulations ended up stipulating that what was acquired in those years of “Real Socialism” is only half owned, non-transferable and easily confiscated. From Cuban blogger Yoani Sánchez (CD post on her here). Market Watch -- Medallion Financial Corp. (NASDAQ: TAXI), a specialty finance company with a leading position servicing the taxicab industry announced that earnings, or net increase in net assets resulting from operations was $2,832,000 or $0.16 per diluted common share in the 2008 fourth quarter. Andrew Murstein, President of Medallion Financial stated, "We are very pleased with the year's results, especially given what has been a challenging environment for financial institutions. Underlying our performance is the collateral value we have in our medallion loans. In over 70 years of involvement in the medallion industry, we have experienced zero losses on any taxi medallion loan we have originated in New York City. Additionally, taxi medallions are one of the few assets that have appreciated in value in 2008, increasing in every one of our operating markets, and have continued that trend thus far in 2009. Prices in 2008 for corporate medallions in New York City increased over 24% and are currently at all-time highs of $750,000 per medallion in March 2009 (see chart above, data here). The taxi industry is somewhat insulated in this type of economic environment for several reasons from increased fleet utilization due to the influx of manpower from job losses in other industries, to more people riding taxis as corporations cut back on limos and other car services. In addition, our loan to value ratio on our entire medallion portfolio is now under 50%." In 1937, the number of taxicab medallions was limited to those that existed at that time. By the late 1940s, this number had settled at 11,787. Since 2003, State and local legislation has allowed the Taxi and Limousine Commission (TLC) to sell new medallions, bringing the current total to 13,150 yellow medallion taxicabs operating in New York City. A new medallion is a rare opportunity. MP: Yes, a rare opportunity to join a cartel with significant barriers to entry. And cartel membership does have its privileges, including above-market rates of return (see chart below). Since January 2004, the price of NYC taxi medallions has increased 2.6 times, while the S&P500 has declined by 28%. Practically speaking, there is free trade throughout the United States. My family and I (in VA) routinely buy wine from California and Oregon, oranges and lemons from Florida, computer software from Washington state, maple syrup from Vermont, peaches from South Carolina, television newscasts from New York and Atlanta, lumber from Alabama, spicy sauces from Louisiana, crabs from Maryland. The list is long. And yet no one, not even Lou Dobbs, insists that the Boudreaux family would be richer if only the government in Richmond could find a successful way around the U.S. Constitution and managed to slap stiff tariffs on California wine, Florida citrus fruits, cajun seasoning from Louisiana, and you name it. Surely the burden of persuasion is on those who would insist that each American would be more prosperous if only his or her state were better able to restrict trade with citizens of other states. 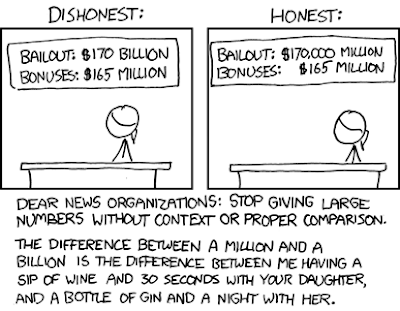 If this burden of persuasion cannot be met, then the case for free international trade is pretty solidly established. Anyone skeptical of free trade must explain why political borders are economically relevant. With the exception of pointing to (mostly rather vague and poorly considered) national-defense issues, protectionists have never managed -- and I dare say never will manage -- to impart genuine economic relevance to political borders. Because all reasonably prosperous countries today impose no, or only very few, internal restrictions on trade, two facts stand: (1) free trade is in fact quite common, and (2) free trade is beneficial. MP: Here's another way to look at it: Since there is no economic reason to restrict goods from crossing imaginary lines called "city limits," "county lines" or "state borders," and we allow free trade among the 50 U.S. states and their counties and cities, there is also no economic reason to restrict goods from crossing imaginary lines called "national borders." But the city of Chicago says "No thanks." Chicago Tribune -- The fast-food chain has sent off a letter to the nation's mayors, offering to patch their potholes for free. The company will leave behind a stenciled brand on the patch informing people the road has been "Re-Freshed by KFC." "In honor of our "Fresh Tastes Best" campaign, we want to come and Re-"Fresh" your roads!" KFC president Roger Eaton says in the letter. 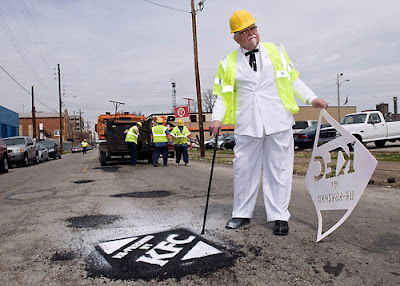 "Every patched pothole comes with the Colonel's very own stamp of approval (see picture above)." Everybody needs a little KFC. But maybe not Chicago. But Brian Steele, a spokesman for the Chicago Department of Transportation, which is charged with repairing the city's potholes, said "We don't allow any type of printing or advertising placed on a city street or sidewalk." WASHINGTON -- Nonunion contractors and minority and female workers fear that they could lose out on major construction projects funded by the economic stimulus package because President Barack Obama has issued a directive on contracting that favors union labor. An executive order that Obama signed "encourages executive agencies to consider requiring the use of project labor agreements (PLAs)" on federal construction projects of $25 million or more. Because white males dominate the membership of the skilled construction trade unions, however, jobs for minorities and women could be hard to come by on large stimulus-bill projects unless the Project Labor Agreements (PLAs) set goals for their inclusion. Last year, according to Department of Labor statistics, blacks and women made up only about 11% of the nation's working construction laborers and sheet-metal workers, and about 8% of pipe layers, brick masons and carpenters. Just 3% of structural iron and steelworkers were African-American or female. "In an environment where jobs are already scarce, the promise of infrastructure jobs is supposed to be a promise for all," said Catherine Singley, a policy analyst for the National Council of La Raza. "If you're giving preference to unionized workers, you're definitely leaving out Latinos, who generally do not belong to unions. And you're exacerbating the disparities they already face in accessing high-quality jobs." Thanks to Jeff at FMPOLITICS. ORLANDO, Fla. – March 23, 2009 – Florida’s existing home sales rose in February, making it the sixth consecutive month that sales activity showed increases in the year-to-year comparison, according to the latest housing data released by the Florida Association of Realtors (FAR). February’s statewide sales also increased over January’s figures in both the existing home and existing condo markets. Existing home sales rose 20% last month with a total of 9,858 homes sold statewide compared to 8,181 homes sold in February 2008 (see chart above). February’s statewide existing home sales were 16.7% higher than January’s statewide sales. Florida’s median sales price for existing homes last month was $141,900; a year ago, it was $199,300 for a 29% decrease. Thirteen of Florida’s metropolitan statistical areas (MSAs) reported increased existing-home sales in February while 11 MSAs also showed gains in condo sales. It marks the eighth month in a row that a number of markets have reported increased sales. MP: Falling home prices, record-low mortgage rates, and record-high housing affordability are all working together to fuel a real estate recovery in states like Florida and California. Six consecutive months of increased year-to-year sales activity suggests that the Florida real estate market is way past its bottom, and is making a solid recovery and strong comeback. Markets are working. Flat World Knowledge publishes college textbooks that are free online and open for editing. Its business model is to offer the option for students and professors to print soft-cover textbooks in whole or part, at a fraction of the cost of a standard hardbound college text. The company announced this week that it has raised $8 million from Greenhill SAVP, High Peaks Venture Partners, and Valhalla Partners. See the catalog here (including 6 economics texts and 3 finance). The National Association of Realtors (NAR) released its latest Housing Affordability Index (HAI) today, showing that housing affordability reached an all-time, historic record high of 173.5 in February (see chart above). A HAI of 173.5 would mean that the typical household earning the median family annual income of $59,726 in February would have 173.5% of the qualifying income to purchase a median-priced existing single-family house ($164,600) with a 20% down payment, which would be the highest level of housing affordability since the NAR started reporting housing affordability in 1971. Since mid-2006, the HAI has risen almost 74 points, from 99.6 in July 2006 to 173.5 last month. Stated differently, the annual qualifying income required to purchase a median-price house (with a 20% down payment) is only $34,416, with monthly payments based on a 5.12%, 30-year fixed-rate mortgage ($716.58 per month for principal and interest). Given the median family income of about $59,726, the typical family would have 173.5% of the income required to qualify for the mortgage to purchase the $164,600 home. MP: The record-high housing affordability will play an important role in the real estate market's recovery, and should be considered very positive news. This key real estate market statistic frequently gets overlooked by the media, which often seems more interested in reporting "record high jobless claims/employment losses/______ fill in the blank" when it's negative news, than reporting record high statistics like housing affordability when it's good news. Ben Bernanke's salary in 2008 was $191,300. What do other heads of the central banks around the world make per year, and who is the highest paid central banker in the world? Find out here. From Table 10 in today's BEA report on Personal Income, real disposable income increased 2.2% in February, compared to February last year (see chart above). This is the 5th consecutive month of positive growth in real personal income compared to the same month in the previous year, following negative growth in August and September of last year. The 2.2% increase in real disposable income is just slightly below the 2.3% average over the last four years. WASHINGTON (AP) -- Rates on 30-year mortgages plunged this week to the lowest level on record after the Federal Reserve launched a new effort to assist the staggering U.S. housing market. Mortgage finance giant Freddie Mac said Thursday that average rates on 30-year fixed-rate mortgages dropped to 4.85% this week, from 4.98% last week. It was the lowest in the history of Freddie Mac's survey, which dates back to 1971 (see chart above). The previous record low of 4.96% was set in the week of Jan. 15. MP: It could be a lot worse. It was a lot worse in the 1981-1982 recession when mortgage rates peaked at about 18.5% in October 1981. The difference in monthly payments on a $100,000 mortgage at 18.5% ($1548) and a mortgage at today's 4.85% ($528) is more than $1,000 per month! CHICAGO TRIBUNE -- Los Algodones, Mexico population 4,000, is home to about 350 dentists geared to foreign patients, including snowbirds from Chicago and elsewhere in the upper Midwest. Their treatment comes at a huge discount—70% or more—from what Americans pay at home. This kind of commerce has turned a sleepy village on the U.S. border into the latest boomtown of medical tourism, the practice of traveling abroad to get medical care. From face-lifts in Costa Rica to heart surgery in India, medical tourism has become a $60 billion enterprise by one estimate. Longtime dentists in Los Algodones say that, two decades ago, there were only about a dozen dentists, and the village drew only the occasional visitor looking for cheap trinkets or R-rated pastimes. But as health-care costs in the U.S. rose and Arizona began drawing retirees and snowbirds, more foreign visitors began coming for dental care. The boom began in the late 1990s as dental offices began displacing cheap bars known as cantinas. A recent survey reported about 350 dentists working in 160 offices. While pharmacies and eye doctors also share the sidewalks with quesadilla stands and souvenir vendors, dental care is the real engine. A Phoenix company, Dayo Dental, organizes van rides to make the three-hour run each way. TLC Dental has even opened a bed-and-breakfast adjacent to its dental office for visitors who want to make an overnight trip of it. MP: In Los Algodones, one out of every 11 residents is a dentist! LA Times -- The world's largest music store, Apple's iTunes, plans to boost the price of many hit singles and selected classic tracks to $1.29 on April 7, breaking the psychological barrier of 99 cents in what could be the first big test of how much consumers are willing to pay to download individual songs. The move, part of a new "variable-pricing" strategy that will also lower the price of selected songs, is an attempt by the music industry to wring more revenue from digital downloads in the battle to offset declining CD sales. Label executives contend the new pricing will allow them to offer packaged downloads of songs that might entice consumers to spend more on music. Apple Inc. set the 99-cent-per-song rate in 2003 when it launched the iTunes Store. The company long resisted pressure from the music industry to allow flexible pricing, arguing that it would inhibit sales. Apple changed its tune in January, however, announcing that it would begin selling music at three prices: 69 cents, 99 cents and $1.29, based on wholesale costs set by the labels. True to supply-and-demand economics, the price of music downloads will be geared to the artist's popularity. Releases from new artists would receive the lower pricing, while tracks from popular acts would get slapped with the higher rate. Even classics, such as Bruce Springsteen's "Born in the USA," could retail for the higher price. Most of the 10 million songs in the iTunes catalog are expected to remain at 99 cents. MP: If this works for Apple, maybe movie theaters will be next to implement some kind of "variable-pricing" strategy for movie tickets. If it doesn't make sense to sell all music at a single price, it probably doesn't make sense to price all movies the same. LOS ANGELES (March 25) – Home sales increased 83% in February in California compared with the same period a year ago, while the median price of an existing home declined 40.8% percent, the CALIFORNIA ASSOCIATION OF REALTORS (CAR) reported today (see chart above). Sales of existing, single-family homes in California totaled 620,410 in February at a seasonally adjusted annualized rate, according to information collected by CAR from more than 90 local REALTOR associations statewide. Statewide home resale activity increased 83% from the revised 338,970 sales pace recorded in February 2008. The median price of an existing, single-family detached home in California during February 2009 was $247,590, a 40.8% decrease from the revised $418,260 median for February 2008, CAR reported. The February 2009 median price fell 2.3% compared with January’s revised $253,330 median price. CAR’s Unsold Inventory Index for existing, single-family detached homes in February 2009 was 6.5 months, compared with 15.3 months for the same period a year ago. The index indicates the number of months needed to deplete the supply of homes on the market at the current sales rate. The median number of days it took to sell a single-family home was 51.5 days in February 2009, compared with 69.3 days for the same period a year ago. MP: Market forces and the Law of Demand are working in the California real estate market. Total real estate sales volume increased by 8.45% from $1.42 billion in February 2008 to $1.54 billion in February 2009, at an annualized rate. Record Low Mortgage Rates Boost Mortgage Apps; Real Estate Lending Hits Record High in Feb.
WASHINGTON, D.C. (March 25, 2009) — The Mortgage Bankers Association (MBA) today released its Weekly Mortgage Applications Survey for the week ending March 20, 2009. The Market Composite Index, a measure of mortgage loan application volume, was 1159.4, an increase of 32.2% on a seasonally adjusted basis from 876.9 one week earlier. On an unadjusted basis, the Index increased 31.4% compared with the previous week and 18% compared with the same week one year earlier. “Mortgage rates fell sharply to low levels not seen in six decades following the Federal Reserve’s announcement on the Treasury bond and mortgage-backed securities purchase programs. The drop offered a sizable refinance incentive for most homeowners sparking a pickup in refinance activity,” said Orawin Velz, Associate Vice President of Economic Forecasting. The Refinance Index increased 41.5% to 6363.2 from 4497.6 the previous week and the seasonally adjusted Purchase Index increased 4.2% to 267.8 from 257.1 one week earlier. The Conventional Purchase Index increased 3.9% while the Government Purchase Index (largely FHA) increased 4.6%. The four week moving average for the seasonally adjusted Market Index is up 13.9%. The four week moving average is up 1.7% for the seasonally adjusted Purchase Index, while this average is up 18.7% for the Refinance Index. The refinance share of mortgage activity increased to 78.5% of total applications from 72.9% the previous week. The average contract interest rate for 30-year fixed-rate mortgages decreased to 4.63% from 4.89%, with points decreasing to 1.13 from 1.23 (including the origination fee) for 80 percent loan-to-value (LTV) ratio loans. The contract rate is the lowest in the history of the survey, which began in 1990. MP: The chart above shows Real Estate Loans at All Commercial Banks (data here) from 2002 through February 2009, which reached an all-time record high of $3.824 trillion in February. Apparently, real estate lending is "alive and well," despite reports to the contrary. The following excerpts are from a letter sent on Tuesday by Jake DeSantis, an executive vice president of the American International Group’s financial products unit, to Edward M. Liddy, the chief executive of A.I.G. It appears in today's NY Times. It is with deep regret that I submit my notice of resignation from A.I.G. Financial Products. After 12 months of hard work dismantling the company — during which A.I.G. reassured us many times we would be rewarded in March 2009 — we in the financial products unit have been betrayed by A.I.G. and are being unfairly persecuted by elected officials. In response to this, I will now leave the company and donate my entire post-tax retention payment to those suffering from the global economic downturn. My intent is to keep none of the money myself. Record 1.7% Home Price Index Increase in January; Has The Real Estate Market Bottomed? WASHINGTON (AP) — A government report says U.S. home prices fell 6.3% in January from the same month last year. The Federal Housing Finance Agency says prices, on a seasonally adjusted basis, rose 1.7% from December to January. The government index is calculated using mortgage loans bought or guaranteed by federally controlled mortgage-finance companies Fannie Mae and Freddie Mac. It is down 9.6% from its peak in April 2007. MP: There's one important and positive factor in the OFHEO report that the AP report completely missed (note the pessimistic tone). The bottom chart above (data here) shows the monthly percent change in the OFHEO House Price Index going back to February of 1991, and the 1.7% January 2009 increase in the home price index is the largest monthly increase in the history of the OFHEO data (almost 20 years)! Further, the record January increase follows ten consecutive monthly declines, and monthly declines in 18 out of the last twenty months. Update: The top chart above displays the OFHEO Home Price Index back to Jan. 1991, and shows the record monthly increase in January. Perhaps the record monthly January price increase in the index signals that that the real estate market has hit a bottom. We'll see in the months ahead. Fact No. 1: Americans have better survival rates than Europeans for common cancers. Fact No. 2: Americans have lower cancer mortality rates than Canadians. Fact No. 3: Americans have better access to treatment for chronic diseases than patients in other developed countries. Fact No. 4: Americans have better access to preventive cancer screening than Canadians. Fact No. 5: Lower income Americans are in better health than comparable Canadians. Fact No. 6: Americans spend less time waiting for care than patients in Canada and the U.K. Fact No. 7: People in countries with more government control of health care are highly dissatisfied and believe reform is needed. Fact No. 8: Americans are more satisfied with the care they receive than Canadians. Fact No. 9: Americans have much better access to important new technologies like medical imaging than patients in Canada or the U.K. Fact No. 10: Americans are responsible for the vast majority of all health care innovations. Conclusion: Despite serious challenges, such as escalating costs and the uninsured, the U.S. health care system compares favorably to those in other developed countries. Source: Scott Atlas, M.D.,senior fellow at the Hoover Institution and a professor at the Stanford University Medical Center. Wall Street Journal -- China's central bank governor, Zhou Xiaochuan, proposed expanding the role of "Special Drawing Rights," or SDRs. They were created in 1969 by the International Monetary Fund to use as a reserve currency as the dollar tottered. SDRs are a kind of synthetic currency whose value is determined by a basket of major currencies ($, Yen, Euro and Pound). In the early 1970s, some banks took deposits denominated in SDRs and some companies even issued bonds in the currency. But the market always remained small, and the main use of SDRs today is to account for transactions between the IMF and its member nations. The SDR is "basically the Esperanto, at best, of international currencies," says Jeffrey Frankel, an economist at Harvard University, referring to the ill-fated attempt to create a common language. "It's not at all used." MP: There's actually at least one exception. Passage through the Suez Canal is quoted in SDRs, see current transit rates here. I assume that payment is accepted in dollars (approx. $1.50/SDR), euros (1.135 per SDR), or pounds (1.04 per SDR) based on current ex-rates, but the transit rates are quoted in SDRs. Update: SDRs are also the basis for the international fees of the Universal Postal Union, responsible for the world-wide postal system. Thanks to ExtremeHobo for the tip. Reason.tv: John B. Taylor, professor of economics at Stanford University, challenges the conventional wisdom that it was an excess of deregulation that precipitated our current financial crisis. In fact, he says, the exact opposite is true. Our Real Immigration Problem: Talent Leaving U.S. This country's floundering economy has never needed the world's best and brightest immigrants more—but, unfortunately, these immigrants have never been interested in this country less. So this would be a good time to roll out the red carpet and stand garland in hand on America's shores to usher in new talent. Far from taking away American jobs (as restrictionists argue), this talent creates more jobs by growing the economic pie. Yet Congress last month decided to thumb its nose at immigrants who can fill top jobs in the high-tech sector. It added to the "stimulus" bill a provision that will effectively put foreign workers off limits to financial companies that receive bailout money through the Toxic Asset Recovery Program (TARP). The provision was sponsored by Sen. Bernie Sanders (I-Vt.) and Sen. Charles Grassley (R-Iowa). Grassley in particular has been acting like he has a new mission from god to chase away foreign high-tech workers who enter the country on temporary visas. These work permits are called H1-B visas and are specifically designed for "workers in short supply." Vivek Wadhwa, a researcher at Duke University, notes that even before the current downturn, a steady stream of highly skilled immigrants from India and China—the major donor countries—had been returning home. In fact, Indian and Chinese companies have been reporting a seven to tenfold increase in job applications from their émigrés in the last five years or so. Even a decade or so ago, giving that up to return back to India or China would have seemed pure lunacy. No more. What's changed? Thanks to economic liberalization, professional opportunities have improved dramatically for these immigrants in their home countries. Over half of the Indian and Chinese polled by Wadhwa said that, relative to cost of living, they were making more money upon returning home compared to what they were earning in the United States. This means it is no longer necessary for high-tech workers to tear up their roots and make an alien land their home for the sake of economic advancement. They can live the American dream in their own country close to family and friends. Instead of posting "No Entry" signs, Congress should be rolling out the welcome mat. It can begin by scrapping the annual H1-B visa cap. Set at 85,000, this cap is so low that for the last few years it has been getting filled within days after immigration authorities begin accepting applications on April 1, leaving tens of thousands of potential high-tech immigrants in the lurch for the rest of the year. Beyond that, it should put in place a fast track process that makes these visas available within weeks—not the months and years as is currently the case—of the application. That is what nearly every other industrialized country which is experiencing declining interest by high-tech immigrants is doing. Otherwise, America, the proud nation of immigrants, might well be the big loser in the global race for talent—hardly something to celebrate. News and Observer -- Questions are arising over whether a medical helicopter might have been able to save actress Natasha Richardson. The province of Quebec lacks a medical helicopter system, common in the United States and other parts of Canada, to airlift stricken patients to major trauma centers. Montreal's top head trauma doctor said Friday that may have played a role in Richardson's death. Capitalism has been wounded by the global recession, which unfortunately will get worse before it gets better. As governments continue to determine how many restrictions to place on markets, especially financial markets, the destruction of wealth from the recession should be placed in the context of the enormous creation of wealth and improved well-being during the past three decades. Financial and other reforms must not risk destroying the source of these gains in prosperity. Consider the following extraordinary statistics about the performance of the world economy since 1980. World real gross domestic product grew by about 145% from 1980 to 2007, or by an average of roughly 3.4% a year (see chart above, data here). The so-called capitalist greed that motivated business people and ambitious workers helped hundreds of millions to climb out of grinding poverty. The role of capitalism in creating wealth is seen in the sharp rise in Chinese and Indian incomes after they introduced market-based reforms (China in the late 1970s and India in 1991). Global health, as measured by life expectancy at different ages, has also risen rapidly, especially in lower-income countries. The Great Depression induced a massive worldwide retreat from capitalism, and an embrace of socialism and communism that continued into the 1960s. It also fostered a belief that the future lay in government management of the economy, not in freer markets. The result was generally slow growth during those decades in most of the undeveloped world, including China, the Soviet bloc nations, India and Africa. Partly owing to the collapse of the housing and stock markets, hostility to business people and capitalism has grown sharply again. Yet a world that is mainly capitalistic is the “only game in town” that can deliver further large increases in wealth and health to poor as well as rich nations. We hope our leaders do not deviate far from a market-oriented global economic system. To do so would risk damaging a system that has served us well for 30 years. More Female BA Degrees = Increasing Inequality? At the same time out-of-wedlock birth rates and divorce began to skyrocket creating large percentages of single-parent households. It should be no surprise that a two income household has a much higher income than a single-income household even if all workers make exactly the same income. Surgeons will always make more than janitors, as anyone who has ever gone "under the knife" will agree with, and their income should not be distorted because they are married to a fellow surgeon. MP: The graphs above illustrate Mr. Walde's point. The increasing share of income going to the top 1% of households since 1986 coincides with the increasing share of college degrees going to women. I never made the connection between those two trends before, but I think he makes a great point. Existing-home sales rebounded in February, climbing above expectations, but prices plunged again. Home resales climbed to a 4.72 million annual rate, a 5.1% increase from January's unrevised 4.49 million annual pace, the National Association of Realtors (NAR) said today (data here). The February resales level of 4.72 million reported Monday by NAR was above Wall Street expectations of a 4.48 million sales rate for previously owned homes. The 5.1% increase was the largest since 5.6% in July 2003. MP: Alternative headline would be "Existing-Home Sales Rebound, BECAUSE Prices Plunge: The Law of Demand Works." 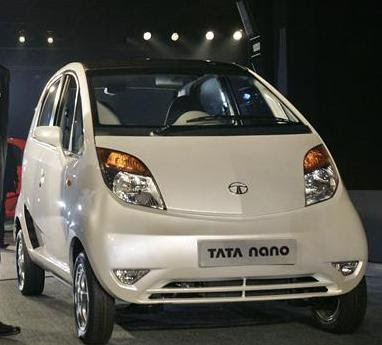 See the $3,200 model here, and the $13,000 model here (equal to 6.5 Nanos). SAN FRANCISCO (Reuters) - Home sales in California rose 42.5% in February from a year earlier as the median home price fell by 39.9%, driven by sales of foreclosed properties, according to an MDA DataQuick report (see chart above). February was the eighth straight month that California home sales rose from year-earlier levels and was the first time since May 2007 that the median home price did not decline from the prior month, according to MDA DataQuick. The typical mortgage payment that (California) home buyers committed themselves to paying last month was $967. That was down from $969 in January, and down from $1,774 for February a year ago. The typical mortgage payment has not been below $1,000 since May 1999. Adjusted for inflation, last month's mortgage payment was the lowest in DataQuick's statistics, which go back to 1988. The payment was 53.4% below the spring 1989 peak of the prior real estate cycle. It was 62.2% below the current cycle's peak in June 2006. Several months ago, I posted about Academic Earth which then had two free economics courses available: Robert Shiller's Financial Markets course and a course in Game Theory. They now have 4 economics courses and 63 guest lectures, check it out here. The Clinton administration has turned the Community Reinvestment Act, a once-obscure and lightly enforced banking regulation law, into one of the most powerful mandates shaping American cities—and, as Senate Banking Committee chairman Phil Gramm memorably put it, a vast extortion scheme against the nation's banks. Under its provisions, U.S. banks have committed nearly $1 trillion for inner-city and low-income mortgages and real estate development projects, most of it funneled through a nationwide network of left-wing community groups, intent, in some cases, on teaching their low-income clients that the financial system is their enemy and, implicitly, that government, rather than their own striving, is the key to their well-being. The CRA's premise sounds unassailable: helping the poor buy and keep homes will stabilize and rebuild city neighborhoods. As enforced today, though, the law portends just the opposite, threatening to undermine the efforts of the upwardly mobile poor by saddling them with neighbors more than usually likely to depress property values by not maintaining their homes adequately or by losing them to foreclosure. The CRA's logic also helps to ensure that inner-city neighborhoods stay poor by discouraging the kinds of investment that might make them better off. GeoFRED is a data-mapping tool that displays color-coded data on the state, MSA (metro areas) and county levels. For example, GeoFRED can display unemployment, labor force and population for all U.S. counties. Users can select among 19,000 FRED data series and customize these printable maps according to size, scope and detail. MP: Map above (click to enlarge) shows the variation in home ownership rates across the U.S., from three states above 76% (W. Va, Delaware and Michigan) to three states below 64% (Nevada, CA and NY). Sorry about the poor resolution, that's as good as I could get it. Despite the housing crisis, one deeply entrenched value remains sacrosanct: homeownership. But a growing chorus of economists and housing experts say that this mind-set needs fundamental reform. Owning a home is not right for everyone, they say: In some ways it's overrated, and it can even have harmful effects for individuals and society. It is now glaringly clear that buying a home is a financial risk, not the surefire investment it is often perceived to be. Widespread homeownership may also have a negative impact on the economy, because, among other reasons, displaced workers can't easily relocate to new jobs. And some of the alleged rewards of homeownership, such as greater self-esteem, health, and civic engagement, have been called into question by research. The government, critics argue, should focus on ensuring high-quality, affordable housing rather than promoting homeownership for its own sake. But his plan landed him in the crosshairs of the state Insurance Department, which ordered him to drop his fixed-rate plan - which it claims is equivalent to an insurance policy. Muney insists it is not insurance because it doesn't cover anything that he can't do in his offices, like complicated surgery. He points out his offices do not operate 24/7 so they can't function like emergency rooms. The state believes his plan runs afoul of the law because it promises to cover unplanned procedures - like treating a sudden ear infection - under a fixed rate. That's something only a licensed insurance company can do. A New York City doctor whose low-cost health care plan angered state officials has agreed to increase his fees. 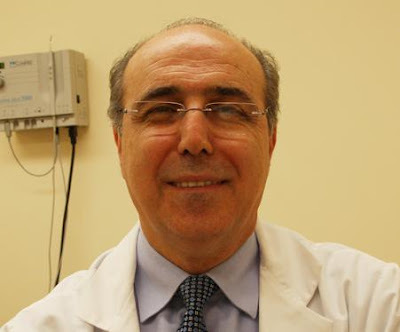 The state Insurance Department told Dr. John Muney last month to end the $79-a-month medical service at his AMG Medical Group clinics in all five boroughs. Department spokesman Andy Mais says Muney was violating state law by basically operating as an insurance operator without a license. The monthly fee buys unlimited office visits, including certain tests and in-office surgeries. Muney will charge $33 per visit for all but preventive care, which Mais says brings him in compliance. Muney's spokesman says he'll challenge the restrictions through legislation. Muney, a former surgeon, started offering the $79-a-month plan in 2008. MP: Alternative title to the second story "Consumers-Patients Lose, Bureaucrats Force Low-Cost Doctor To Raise Fees." According to the Michigan Association of Realtors (data here), the average sales price of a Detroit home fell to $13,638 in January, a -42.6% decline from the $23,755 average home price in January 2008, and a -25% decline from last year's average price of $18,128. Unit sales increased in Detroit by +37% in January 2009 to 1,007 homes, compared to 736 home sold last January. At the state level, the average home sales price fell by -37% in January to $84,832, compared to last January's average price of $134,721. Update: Sales data through February are now available, and the average Detroit home price has continued to fall, and is now just $12,669 (new post here) for February YTD. New York Times -- At least 85,000 Americans choose to travel abroad for medical procedures each year, according to a recent report by the consulting firm McKinsey & Company. Treatment includes dental implants, hip and knee replacements, heart valve replacements and bypass surgery. The cost of surgery performed overseas can be as little as 20% of the price of the same procedure in the United States, according to a recent report by the American Medical Association (see chart above). Medical tourism is expected to expand quickly in the coming years because of rising health care costs in the United States, increasing availability of international facilities with United States accreditation, and the fact that insurers and employers are beginning to embrace the practice. Blue Cross Blue Shield of South Carolina, for example, has started a subsidiary company, Companion Global Healthcare, to offer medical tourism services to individuals and businesses. Hannaford supermarkets in Maine recently added an international option for hip replacements to its health care plan.